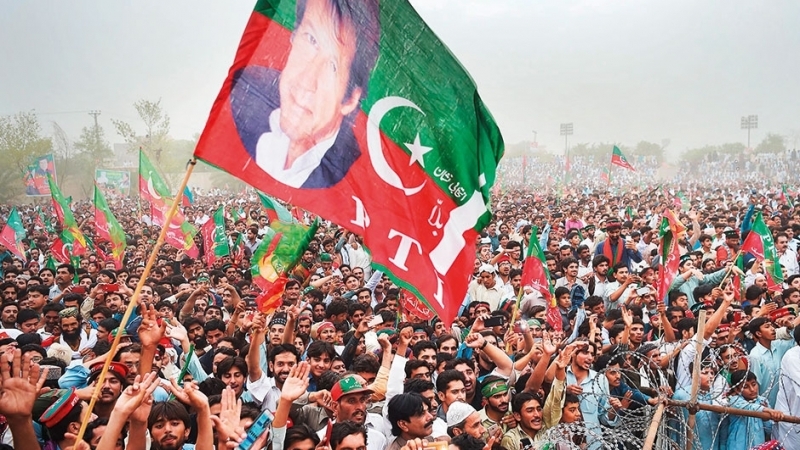 The victory of Pakistan Tehreek-e-Insaf (PTI or Pakistan Movement for Justice) in the July 25 general elections has led to euphoria and aroused great hopes among the people. 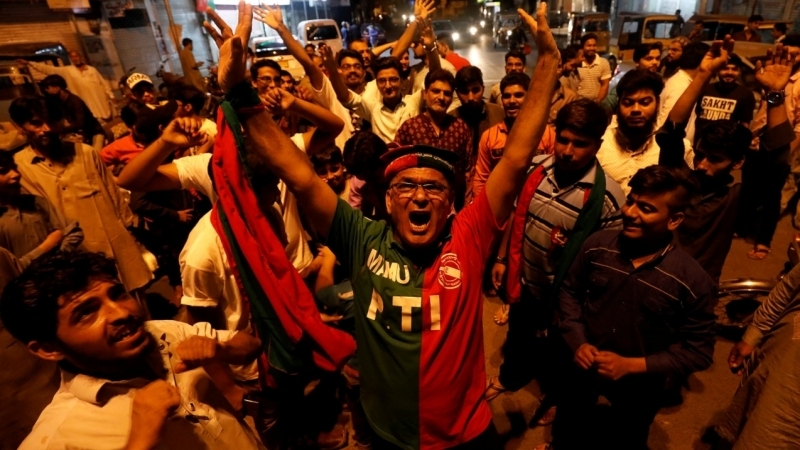 Led by the cricket-star-turned-politician Imran Khan, the PTI emerged as the largest party with 116 out of 270 contested seats when the official results were released on July 28 (total contested seats in the National Assembly are 272 but one candidate was killed and another constituency’s election was postponed). The losing parties and their leaders immediately cried foul and demanded re-election. Indian and Western governments, think tanks, and media outlets deeply disappointed at the outcome as usual blamed military interference for tilting toward the winner. The magnitude of change brought about by the people can be appreciated from the historical context that Pakistan has lived through for the last five decades. The corrupt, feudal two-party duopoly took turns to plunder state resources. They had a stranglehold on the political system interspersed by military dictatorships. Under the two parties, Pakistan gained notoriety as one of the most corrupt countries in the world. It was a historic win for Imran Khan and his party. The PTI ended dominance of the center-right Pakistan Muslim League (PML-N) headed by Nawaz Sharif since the early-1980s, and center-left Pakistan Peoples Party (PPP) formed in the late-1960s and now headed by Asif Zardari and his son Bilawal Zardari. Nawaz Sharif and the Zardaris lead feudalistic, hereditary, and corrupt parties. Their sons and daughters become head of parties, then prime minister or president. They have always preferred personal interest over that of the country’s. In fact, politics is big business for them. They spend money to acquire political power and then abuse it to entrench themselves and to make more money. Thus the cycle continues endlessly. They looted the national treasury and stashed away billions of dollars in foreign accounts and bought prime real estate in Dubai and London. They have traditionally opposed such basic services as education, health care, and clean water for the people. Being feudal, they think that people will escape their control if these services are provided, hence undermining their “right to rule.” With their immense wealth, they not only bought voters but also judges, corporate heads, and heads of governmental organizations. They would mobilize their cronies and government machinery to steal elections. Their massive theft and corruption drove the economy into the ground. The acquisition of foreign loans to meet routine government expenses had led to an economic meltdown. Such loans are difficult to repay now. They have openly supported Indian and Western agendas at the expense of Pakistan’s vital interests. On numerous occasions, their cronies were caught red-handed with such anti-state activities but went scot-free for “lack of evidence” in court. This was because the military supported them from behind the scenes. Since the military is the only organized institution and has a relatively loose check on politicians, these “civilian” rulers (Sharif/Zardari) es-caped this oversight on their activities by cooperating with India and Western regimes. Hence they served as proxies for Pakistan’s enemies. The masses found no respite from them as they openly spent money to buy votes and loyalties in elections. Due to their opulent lifestyle — looting of the country’s wealth and building vast palatial homes and buying properties inside and outside the country — they remained totally indifferent to the masses’ suffering. Over the last 50 years people became cynical and despondent and lost all hope for change in government affairs. 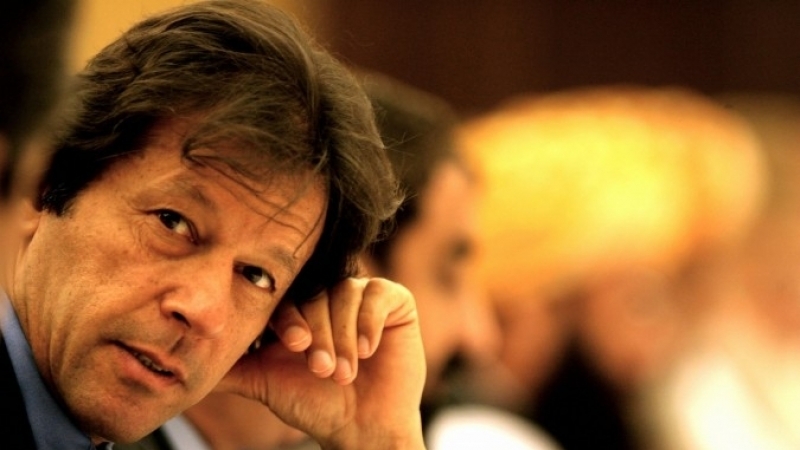 In the first weeks of 2018, then PTI Chairman Imran Khan predicted that if the first-ever civilian transition of power in Pakistan is allowed to happen, then PTI will win a majority in the general election later in the year and that, if elected prime minister, he will hold money launderers who looted the country of its assets account-able for their crimes. After winning the election, as he envisioned he would, his most immediate priority appears to be balance of payments solvency, a crisis that largely emerged over time due to the corrupt practices of career politicians who were burnishing their overseas bank accounts with kickbacks from foreign loans as well as “service fees” from the US War of Terror. Imran Khan’s win must be viewed against the above nightmarish background and the stranglehold of the two corrupt parties to thwart any change. Khan is charismatic, honest, goal-oriented, self-confident and free from an inferiority complex vis-à-vis the West — a disease that afflicts almost all other Pakistani politicians. He has seen how governments can be run efficiently and honestly for the benefit of the people. He realized Pakistan’s potential early on but knew it was held back by corruption. 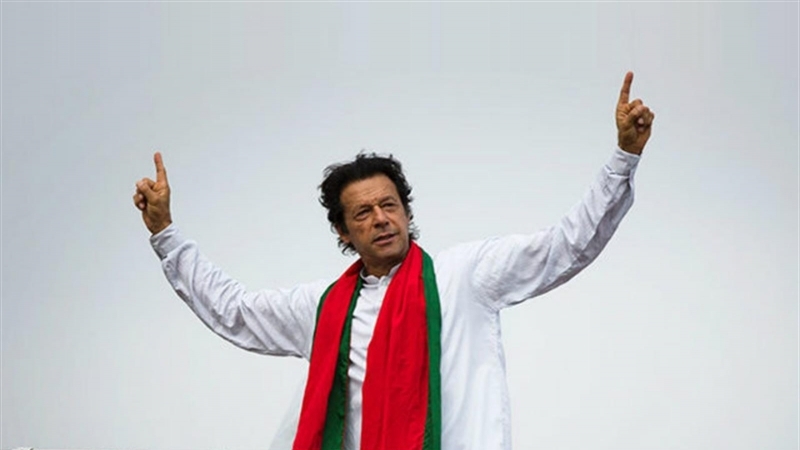 So from day one of his political career in 1996, when he formed the Pakistan Tehreek-e-Insaf, he concentrated on two issues: ending corruption and providing social justice. He advocated a system based on meritocracy. For the first time in Pakistan’s history, he has awakened the middle class and women. 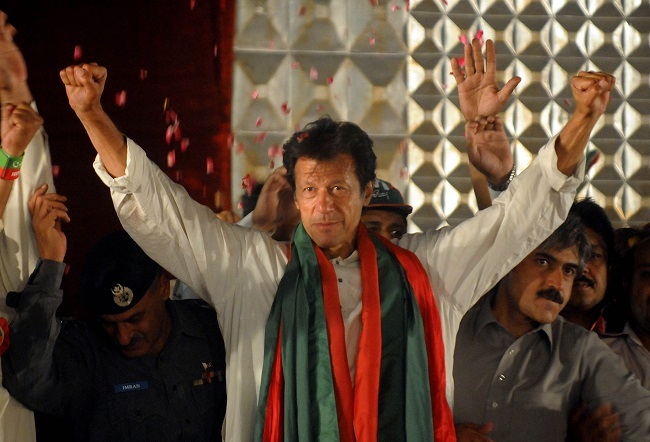 Thus, against the backdrop of corruption, and the feudal political system, Khan’s call was like a breath of fresh air. He already enjoyed face-recognition because of his days as captain of the Pakistan cricket team, which won the World Cup in 1992. Soon afterwards his mother died of cancer; it shook him immensely. So he decided to build a world-class cancer hospital asking for no government funding. He visited almost every city and village asking for donations from ordinary people. They reposed their trust in him and donated generously. Building the hospital also raised his reputation as an honest and clean person. Gradually and painstakingly, he gathered a good and educated team around him. The PTI nearly won the 2013 election but he had to wait for another five years. This turned out to be a blessing in disguise as Nawaz Sharif’s name surfaced in the infamous Panama Papers in early-2017. They revealed he owned expensive real estate in London through offshore companies owned by his sons. For years Sharif and his family kept denying they had any property outside Pakistan. Khan petitioned the Supreme Court. After three months’ hearings where the Sharif family admitted the properties belonged to them, the apex court disqualified Sharif. He failed to divulge where he got the money from to purchase properties in the most expensive part of London or how the money was sent there. Sharif was accused under section 9(a)(iv) of the National Accountability Ordinance 1999 that relates to corrupt practices while section 9(a)(v) is about owning assets disproportionate to known sources of income. The court declared that the prosecution had shifted the burden of proof onto the accused. Similar legislation has been promulgated in a number of other countries. Instead of providing evidence of the money trail, they kept politicizing the hearings by attacking Imran Khan’s persona, the higher judiciary, and military for their predicament. If they had provided evidence of the money trail, they would have been convicted of looting national assets and money laundering. So they adopted a strategy to cry foul and claim “political victimization” by the judiciary and military to gain people’s sympathy. They used other disruptive tactics: deliberately delaying the National Accountability Bureau (NAB) court proceedings. The hope was that they would be elected again in 2018. Soon the army chief and chief justice would also have completed their tenures and they would replace them with new and more pliant individuals. Further, new legislation would be enacted to overturn the judicial disqualification. They thought the crisis would be over and soon the luxurious lifestyle and absolute power would resume. However, unlike the Shah of Iran or Marcos of the Philippines, the Supreme Court judgement was an official stamp of certification of their corruption. Two weeks before the election, on July 7, Sharif, his daughter Maryam and son-in-law Safdar were convicted and sentenced to jail terms of 10 years, seven, and one year respectively. They are now lodged in the notorious Rawalpindi Adiala jail. The judge also ordered forfeiture of their property in the Avenfield Apartments, Park Lane, London and imposed £8 million fine on Nawaz Sharif and £2 million on daughter Maryam. In his first address to the nation, 8-19-2018, PM Imran Khan spent some moments describing the luxuries enjoyed by the prime minister at the people’s expense. 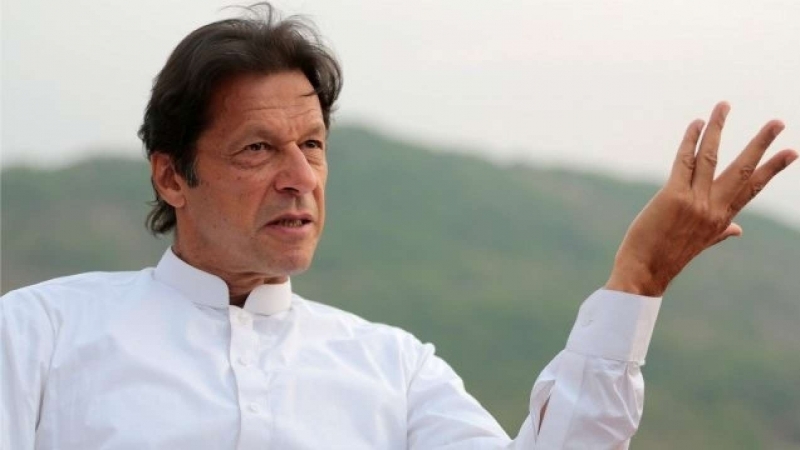 Of the 80 vehicles at the behest of the previous prime minister, Imran Khan indicated that he will auction off all but two and put the proceeds into the national exchequer. In addition, he pledged to convert the Prime Minister House in Islamabad into a world-class university. Khan’s announcement at rallies to hold the rich and powerful political rulers accountable bore fruit even before he came to power. Thus, the whole political discourse was changed from traditional (business as usual) to one of “rise up and clean house” by throwing the corrupt rulers out. The masses’ consciousness and awareness was raised to a new level where they were looking for an honest and clean leader, who sacrificed personal interest for the country and who would provide basic amenities and better opportunities for people. PTI won the election and has formed a coalition government. People have high hopes of positive change primarily because PTI leaders have set a high bar for performance. The immediate crisis for Khan’s new government is resuscitation of the economy because it needs an immediate injection of $12–20 billion. Some critical decisions have to be made: whether go to the IMF or find alternate sources of funds through creative financing including motivating overseas Pakistanis? The first issue is the balance-of-payments crisis, which threatens stability of the currency and the government’s ability to repay debts or pay for imports. The budget deficit has grown steadily over the past five years, from 4% to 10% of GDP due to skyrocketing imports, especially rising oil prices. As a result, foreign currency reserves have declined to under $10 billion, barely enough for two months’ imports while export earnings dropped from $25 billion in 2013 to $22 billion in 2017, according to the State Bank of Pakistan. Meanwhile Pakistan’s currency, the rupee has devalued four times since December depreciating from Rs.105 to Rs.125 to the US dollar in August. One of the main reasons the US is objecting to Pakistan’s application for an IMF loan is that it is opposed to Pakistan paying Chinese creditors first who have loaned $62 billion for the China-Pakistan Economic Corridor (CPEC) infra-structure projects of highways, railways, bridges, and power plants across the country. The just-ousted PML-N government’s secrecy surrounding the CPEC agreement has raised eyebrows in international markets as well as in Pakistan. Though Khan supported CPEC, he has insisted that agreements will be made public when he assumes office. That would also show the loan amount, interest rates, and the magnitude of annual debt-servicing burden on Pakistan. Total debt-servicing projections including CPEC projects stand at $31.3 billion until 2022–2023, which far exceed export earnings. These will increase when other sources of income or loans are taken to service earlier loans. Chinese loans and debt servicing have saddled Pakistan with unsustainable growth. If CPEC is in Pakistan’s interest why does Islamabad need to incur additional loans when it serves China’s empire-building projects? This is because Pakistan’s location saves considerable cost compared to the long and vulnerable sea routes. In addition, the previous PML-N government obtained total foreign loans of Rs1.2 trillion, exceeding its original target of Rs810 billion for the outgoing fiscal year by around 48% to finance its kickbacks and corruption. As a result, foreign loans have exploded in the last 10 years and with it the ability to service debt have also reached critical proportions. 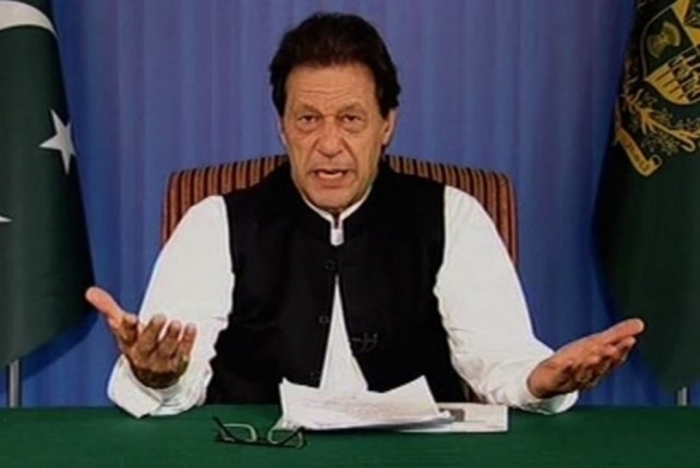 After reviving the economy, Imran Khan said he will hold all those responsible for corruption and white collar crimes, looting and plundering the country, accountable. After exposing Nawaz Sharif, he needs to go after Asif Zardari and his PPP cronies who openly indulged in money laundering schemes, siphoning away hundreds of billions if not trillions of dollars. This was Imran’s main slogan over the last 20 years and people voted for this very reason. Another problem is severe shortage of water: for drinking, agriculture and industrial usage. While India kept building large dams on rivers in Kashmir that flow into Pakistan thus diverting water away, Pakistan did not complain to the World Bank. This is in violation of the Indus Water Treaty brokered by the World Bank in 1960. Further, Pakistan did not build its own dams; the last big one was constructed in the 1960s. This is dereliction of duty. People expect that Musharraf, Sharif and Zardari, who ruled for the last 18 years, should not only be held accountable but also prosecuted for criminal negligence. Building dams, however, requires huge sums of money that will put further strain on the economy. Another important issue is to restore mutual trust between civil-military relations. There is no doubt that the military is the most organized and powerful institution, which dominates all other institutions of state and society. As the veteran politician Shaikh Rashid said, all politicians have been reared in the nursery run by the military. The problem arises when these politicians grow up and gain some self-confidence and they bgin to think they can either dictate or pursue their own interests without regard to military interests. Sometimes the military has to clean up its own mess decades later. During General Zia al-Haq’s time (1979–1988), the military created the Muhajir Qaumi Movement (MQM) led by Altaf Hussain. After gaining some experience, the MQM created its armed terrorist gangs that held Karachi hostage for almost four decades. The MQM had government support during General Musharraf’s rule. Finally in 2013, after changes in the military and because of changed circumstances, cleanup operations began breaking up MQM’s armed and terrorist wings altogether. Similarly, alarmed by the growth of goodwill for the Islamic Revolution in Iran, at the behest of the US, General Zia created Lashkar-e-Jhangvi whose sole mission was to brand the Shi‘is as kafirs and legitimate targets for killing. They were given support and an environment was created in which Shi‘is could be harassed and killed openly with no questions asked. Now the military has started cleanup operations and the fight continues to this day. The LJ terrorists first fled to the tribal areas of Waziristan but under continued pressure, they shifted to Afghanistan. From there they occasionally attack military and soft civilian targets including non-Muslim minorities that result in Pakistan’s name being tarnished. In the recent elections, the military again appeared to be supporting right-wing extremists, the Tehrik-e Labbayk Pakistan (TLP), but they were unable to win despite garnering appreciable number of votes. It would serve Pakistan well if the military were to cease experiments in social engineering. Such activity only creates more divisions in society. Let the natural process evolve whereby morally upright, self-confident, and patriotic politicians would be able to grow. At the same time, instead of focusing on the army’s power, authority, and funds, politicians should build their own stature intellectually, morally, and ethically such that they are able to analyze social and political problems, conceive solutions, and convince the masses of their efficacy. This will help build their own independent base of support among the people. After all in 2016 when Turkish Prime Minister Recep Tayyip Erdogan was confronted by a Western-backed military coup, it was the masses that stood against the military to defend freedom and civilian rule. So politicians have to be realistic. When politicians and the military gradually reach a meeting of minds, the latter may then cede some of its powers and authority — anathema now — to other institutions of state. All countries that have adopted this natural process have reaped the benefits of unity and social cohesion and become stronger. Turkey and China are good examples. Imran Khan is making all the right moves and has the support of the people. His ascent to power is similar to the rise in the early-1950s of Mohammad Mossadeq in Iran through elections. Both came to power despite the depressing political background and circumstances. Mossadeq nationalized British Petroleum and took steps to uplift the population from poverty and illiteracy. Time will tell whether like Mossadeq, Imran Khan and his team would be able to take bold steps to resuscitate the economy, hold corrupt politicians accountable, build dams, and then turn attention to the equally urgent task of human development and education.